I am trying to set up router monitoring via SNMP in NetWorx. My router (D-Link DIR-825ACG1) has support for it. 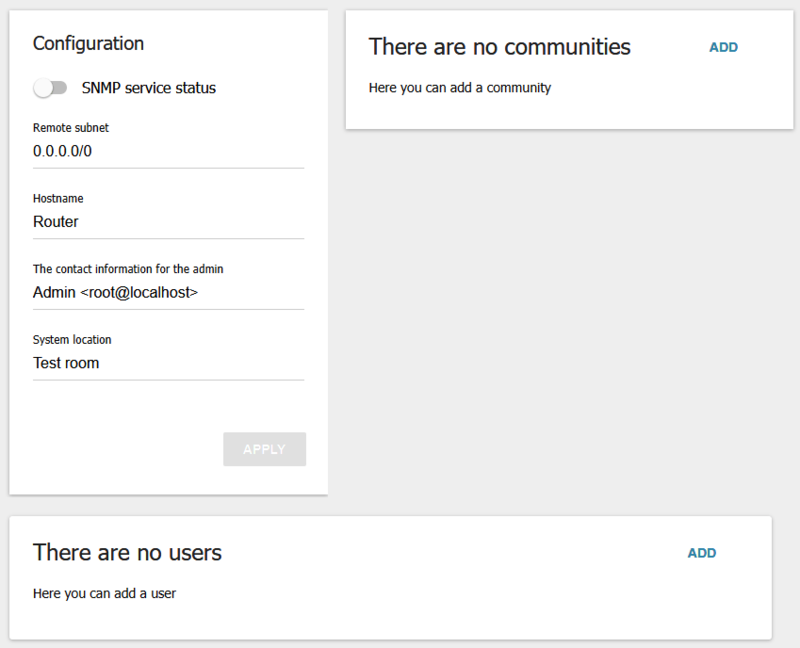 I have the option to add SNMP communities and users. But I don't know what to add. The router's manual doesn't say anything. I tried the UPnP option, but it has problems of its own -- the router stops sending inbound traffic data after some time, so I get only upload speeds. I've checked this with two PCs (64-bit Windows 10) on the same network -- the download speed drops off to zero simultaneously. The UPnP thing seems to be a router issue (I'll try it out again), but getting SNMP monitoring to work would be great. You are right about UPnP problems: many UPnP implementations come with a bug where they used a 32-bit integer for recording uploads and downloads. When they hit a 2 GB or 4 GB mark, the counters stop going up or turn negative, which can be seen as stopped monitoring. SNMP is usually more reliable in this regard. To enable it in your D-Link router configuration, most likely you just need to flip the switch next to SNMP service status to the 'on' position. Then add a single community with the name public. If asked about read/write rights, choose read-only. Thanks for the quick and useful response!